Patrons can expect the unexpected at Byblos, the eastern Mediterranean restaurant where bar manager Bart Cannizzaro likes to surprise with his unusual cocktails. Byblos (1545 Collins Ave., Miami Beach) offers cuisine with Turkish, Lebanese, Moroccan and Persian influences. Cannizzaro says those flavors also permeate the cocktails. Some of his unique cocktails include the Byblos Old Fashioned, made with bourbon, rum and Turkish coffee; the Ottoman Cartel, made with tequila, spiced barberry reduction and beet soda; and the Habibi Marguerite, tea spiked with Avion Reposado tequila. Though the combination of tequila and tea might shock some patrons, Cannizzaro says the cocktail is so visually striking that people often gravitate toward it. 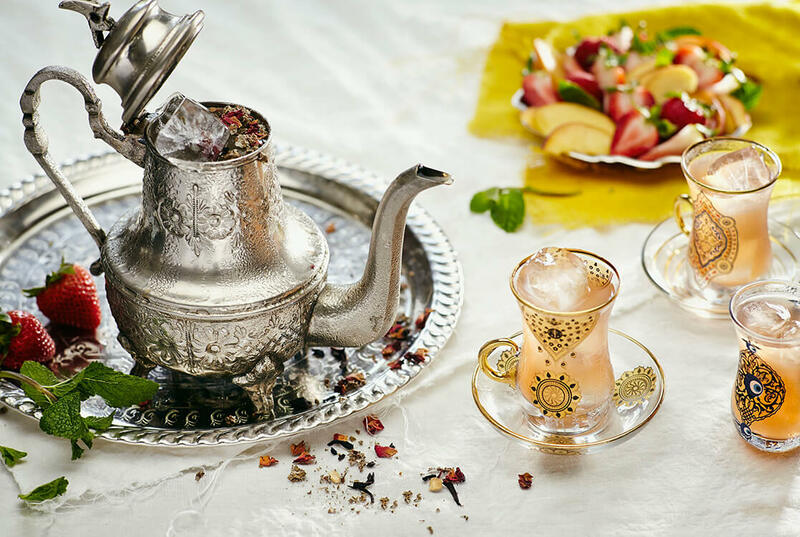 As tea service is meant to be shared among friends, the Habibi—Arabic for “sweetheart”—is a shared cocktail that’s best consumed while lounging on the patio with good company on a hot day.